see what we’re up to. Incorporating artificial intelligence (A.I.) into the workplace isn’t just a sci-fi dream anymore. We’re amongst the first tech disruptors to emerge in the A.I. space with a business focus. Daisy was featured in a recent article from Business News Daily titled, "6 Incredible Ways Businesses are Using Artificial Intelligence Today". Click here to read the full article. Rob Kenedi, the founder of #smallrooms, interviewed Gary Saarenvirta, founder and CEO of Daisy. We’re happy to have a chance to sit down with Rob. 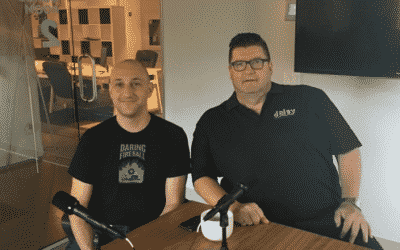 In the podcast, Gary discusses his career and journey to founding Daisy Intelligence. There’s no question that the diversification of shoppers and proliferation of channels present real challenges for the industry. With all of the technological advances, the best news of all is that loyalty marketing is now affordable and achievable for independent retailers.